Cooking with heart means everything you value is put into your dishes. Born in Haifa, Emily lovingly prepares delicious meals for her family. Preparing traditional foods has always been her passion and greatest hobby. Emily’s passion is taking care of her family and feeding them love. An exceptional cook, she is known for her many delicious recipes, one in particular is her homemade Shawarma. A popular street food across the Middle East, Emily makes it her own and its amazing. Mix the shawarma spices with the vinegar, mystic, salt and olive oil in a blender for a couple of minutes. Cut the beef into fajita strips. In a bowl, rub the meat with the marinade, sprinkle more olive oil if it seems dry then rub again, set aside at room temperature for 2 hours, before placing it into the fridge overnight. The next day add garlic, lemon and onion slices and mix well and a low to marinade for few hours. Mix the shawarma every hour before placing it into the oven. Lay the shawarma pieces in a Pyrex tray with a bit of marinade, cover the trap tightly with aluminum foil, then gently bake at 270F - 300F for 1.5 hours. In a small bowl, whisk the Tahini paste, crushed garlic, lemon juice and salt until you turn the paste into a sauce. 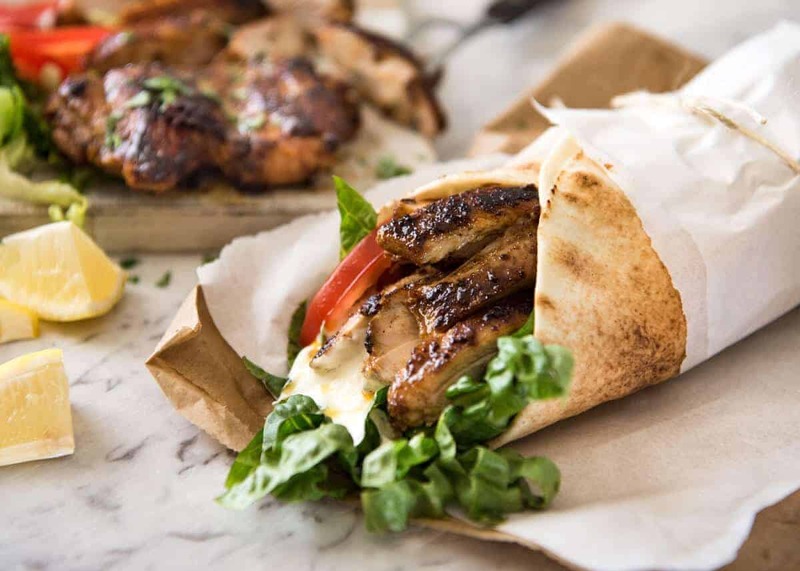 Place about 4-6 ounces (to taste) of shredded shawarma in a pita bread along the diameter, sprinkle some Tahini sauce, add freshly grilled tomatoes, french fries, a garnish of Italian parsley. Roll and enjoy.